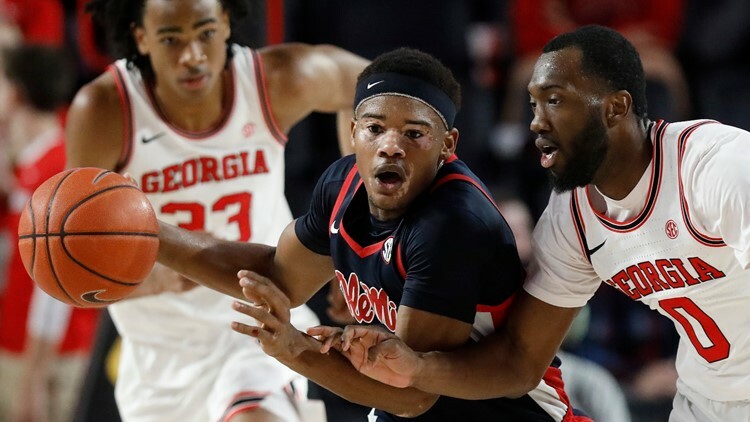 Ole Miss point guard and Irmo product Devontae Shuler will see where he stands in the NBA Draft. He hasn't hired an agent so he can return to school. COLUMBIA, S.C. — Dreher product Tevin Mack declared for the NBA draft this week and Saturday another local product is putting his name in for the draft. Former Irmo guard Devontae Shuler declared for the NBA and he has the support of Ole Miss. Devontae had not hired an agent and his has until May 29 to decided whether not will he will stay in the draft. The sophomore Ole Miss guard starting at point guard this past season and averaged 10 points, 4 rebounds and 3 assists per game as the Rebels made it to the NCAA tournament in Columbia. Devontate joins his former AAU teammate Ja Morant in the NBA draft process. Their other AAU teammate Zion has not officially declared yet so we may see all three put in their names in soon.